I use these as a math center and put them in plastic sleeves and use dry erase markers. 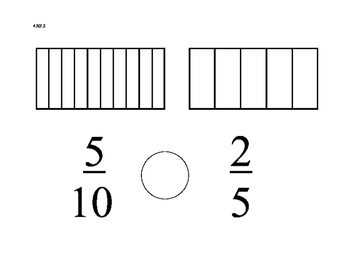 There are ten inequalities with models drawn for students. 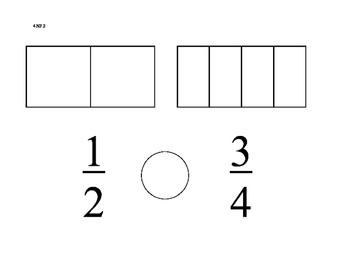 Students are to color in the model to represent the fraction shown, then place the correct symbol in the circle between the fractions. 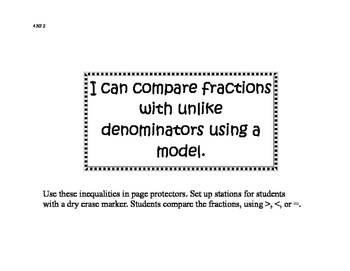 Directions on activity: Use these inequalities in page protectors. Set up stations for students with a dry erase marker. 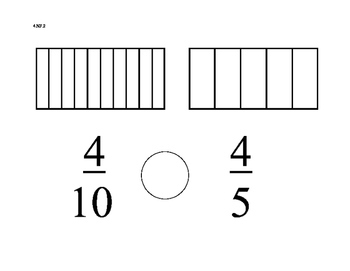 Students compare the fractions, using >, <, or =.